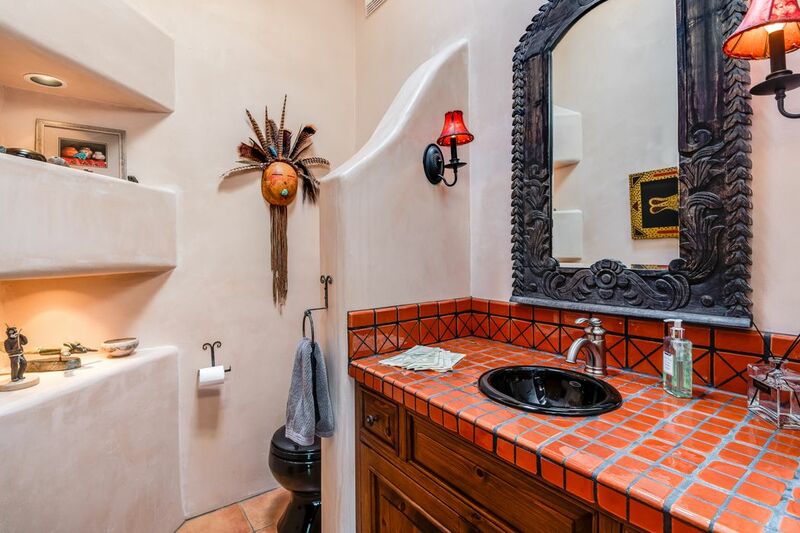 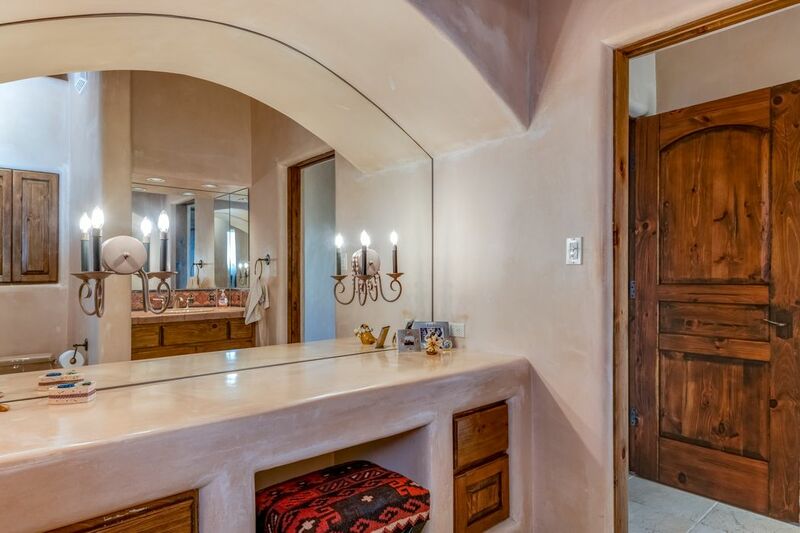 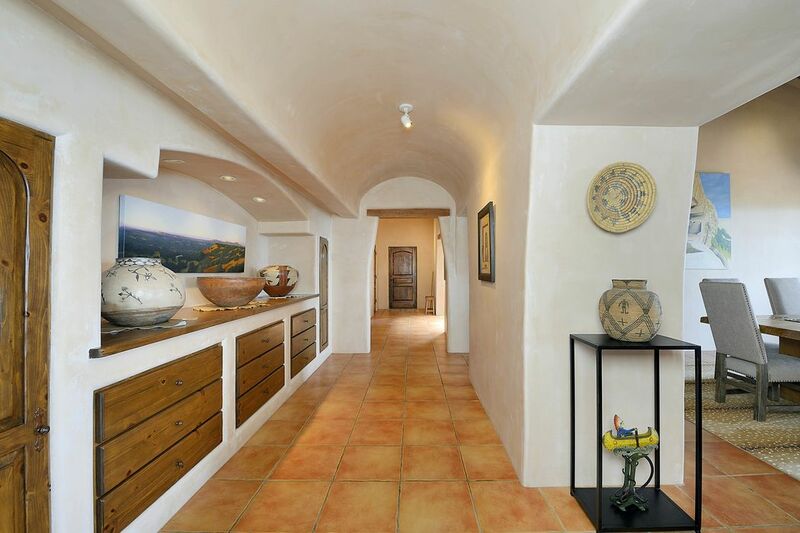 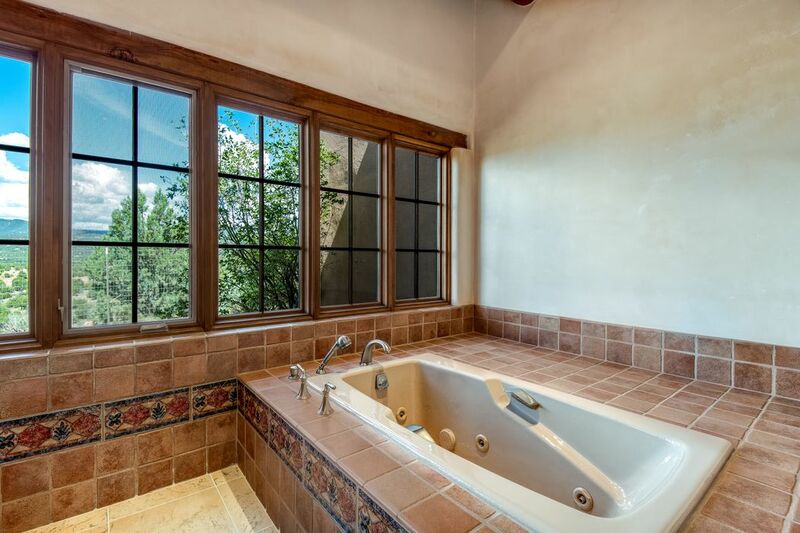 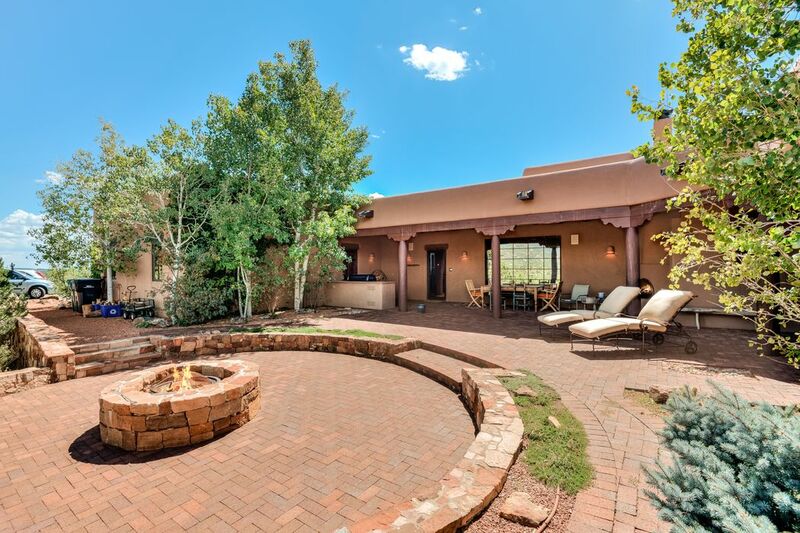 36 La Ventana Drive, Santa Fe, NM 87508 | Sotheby's International Realty, Inc.
$1,400,000 3 Bedrooms4 Full / 1 Partial Baths4,550 sq. 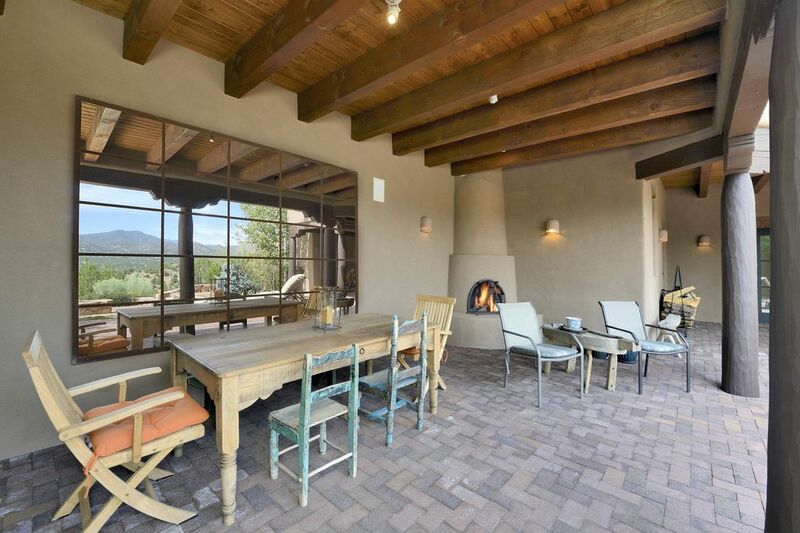 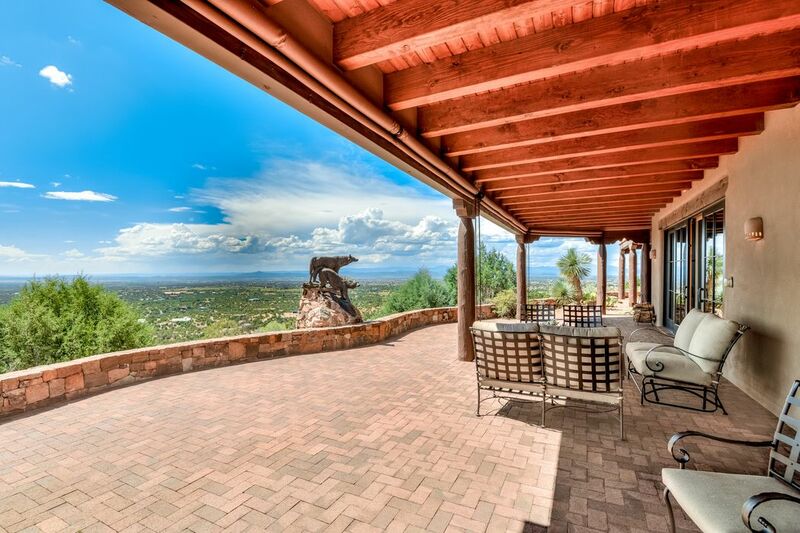 ft.
Find yourself surrounded by expansive views and luxurious details in this single level home of just over 4500 sq ft, located in the gated community of Arroyo Hondo Vistas. 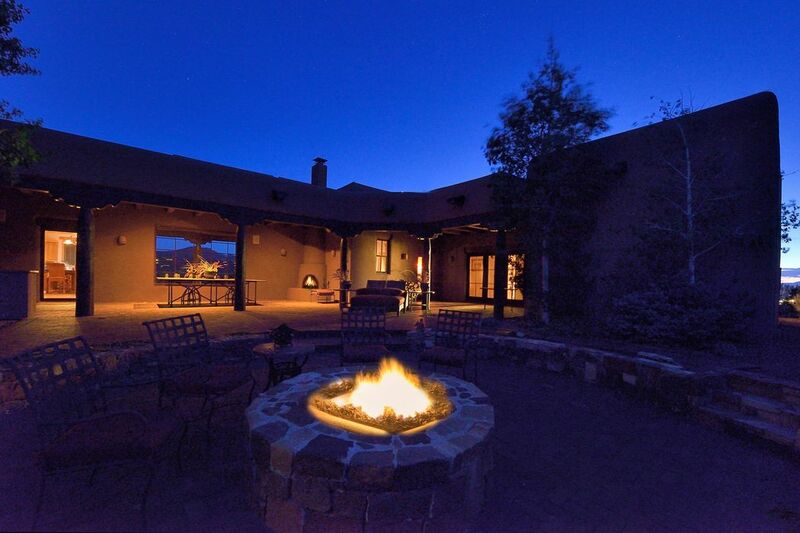 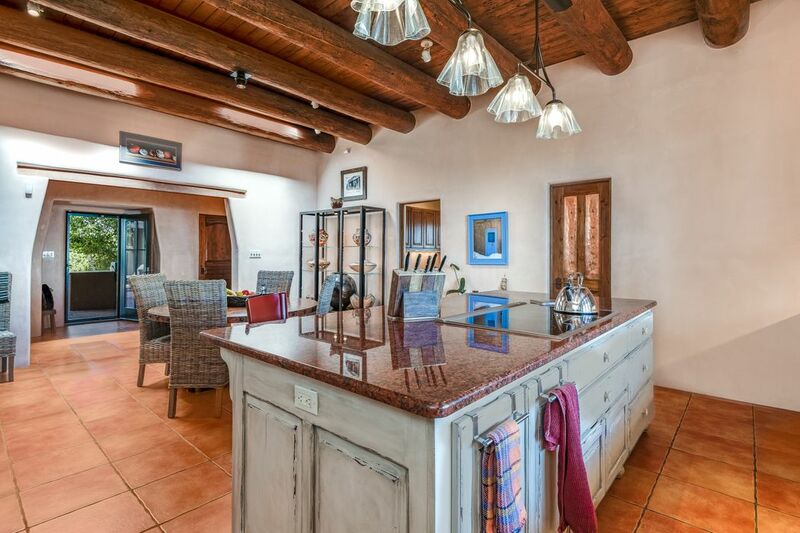 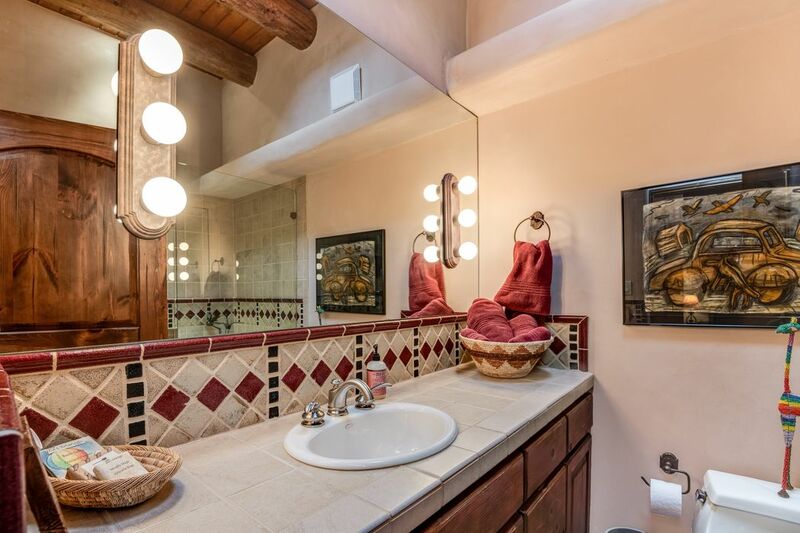 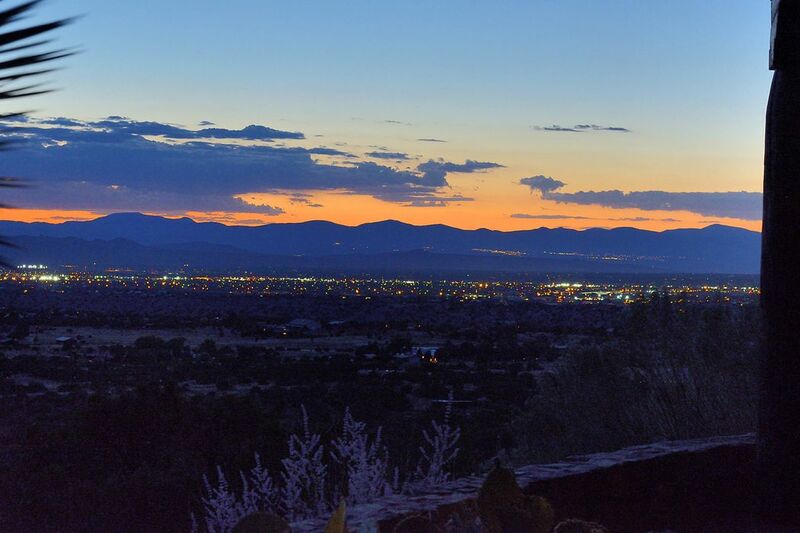 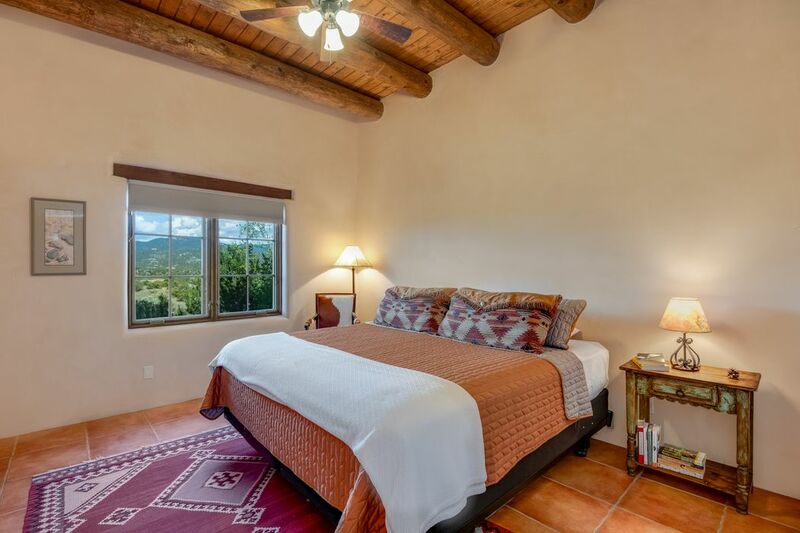 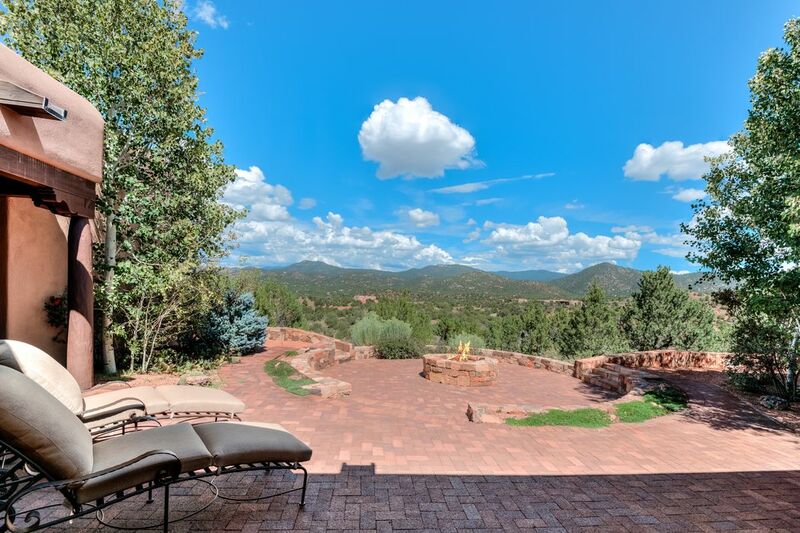 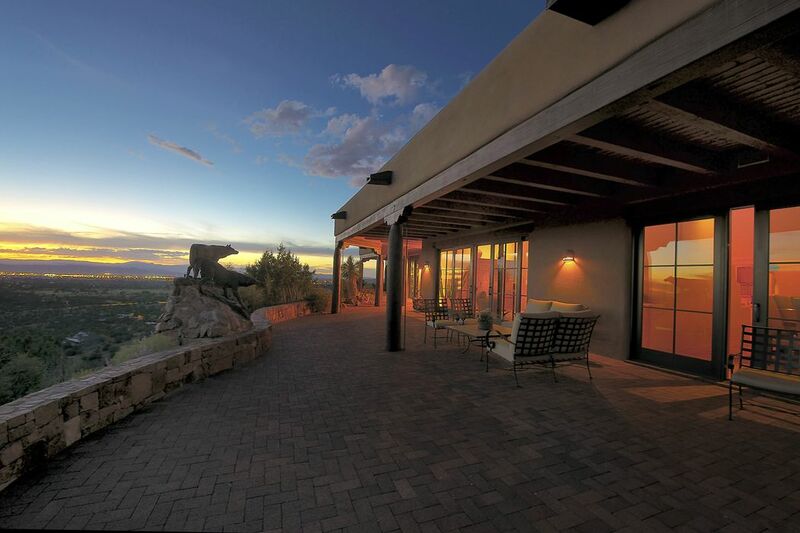 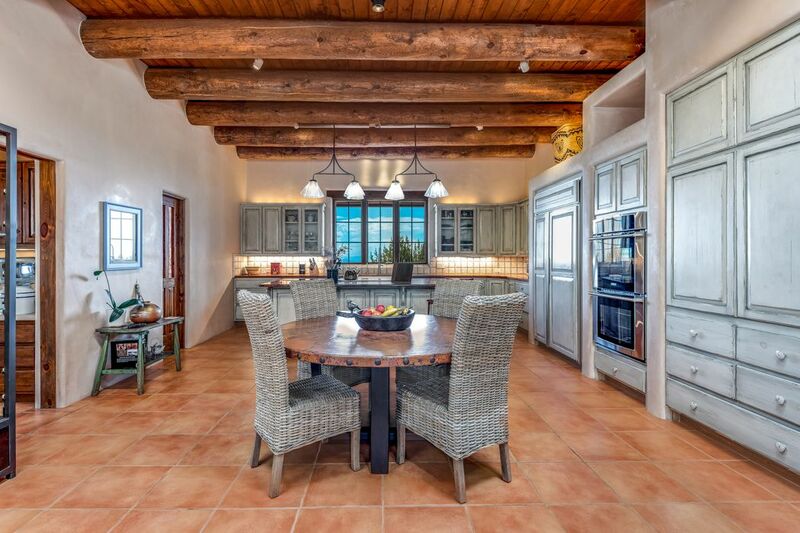 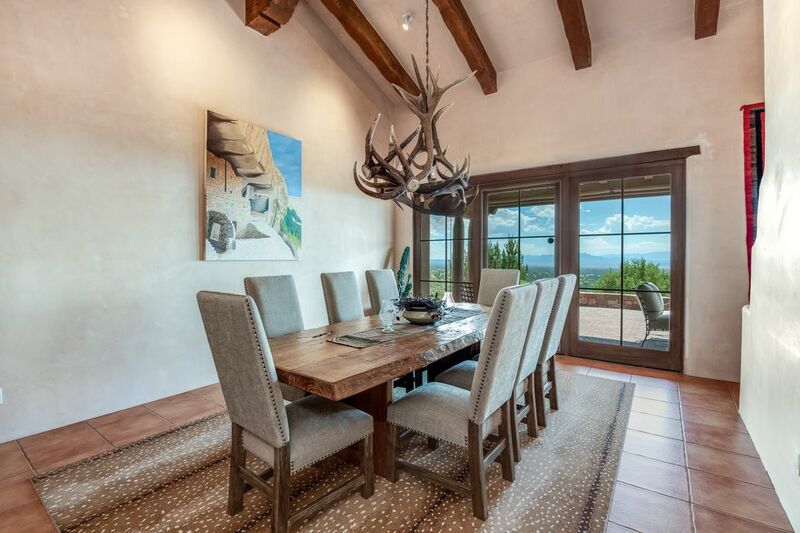 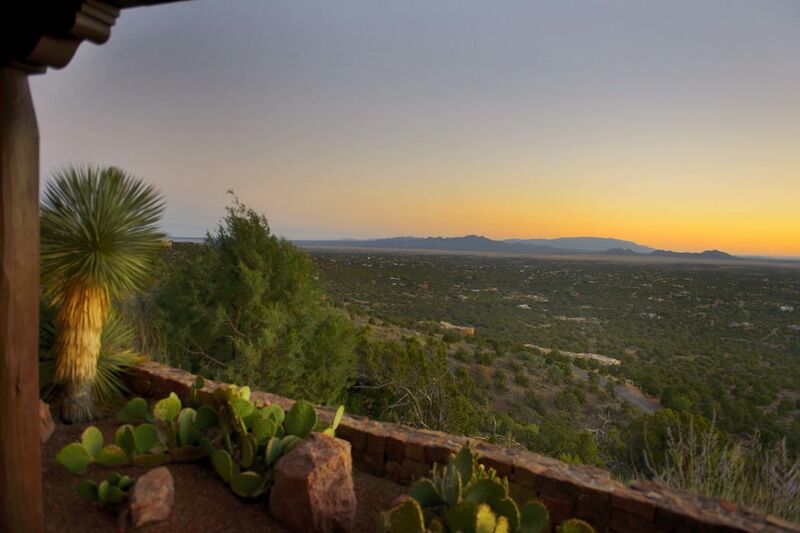 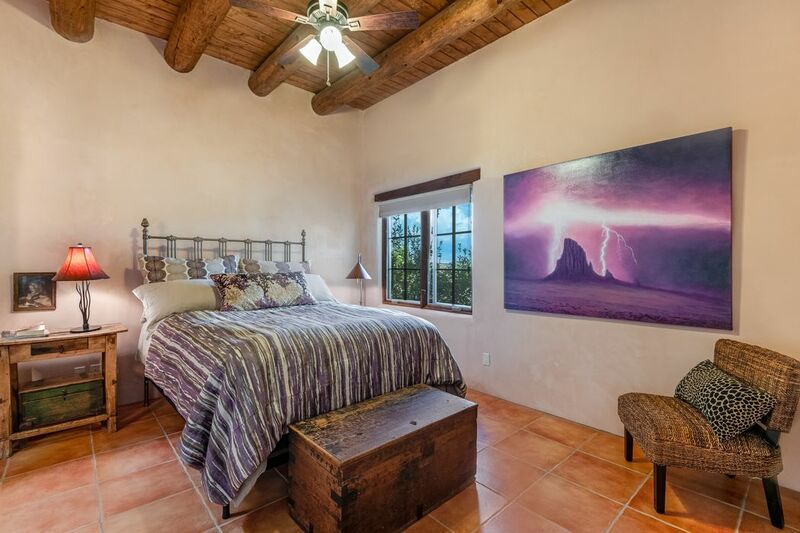 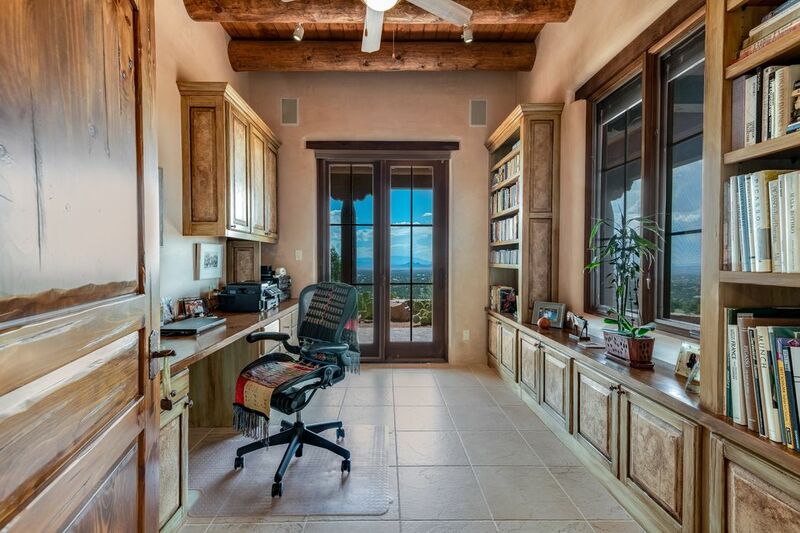 The 3 bedroom, 5 bath home is perfectly situated to take in the magnificent views that stretch from Santa Fe Ski Area to Sandia Crest, encompassing five mountain ranges. 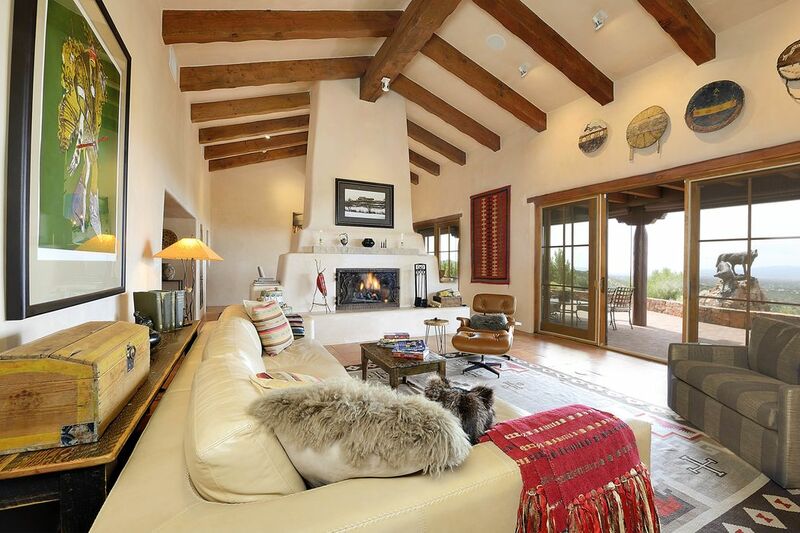 Soaring beamed ceilings and a majestic kiva fireplace lend the living room an air of elegant drama. 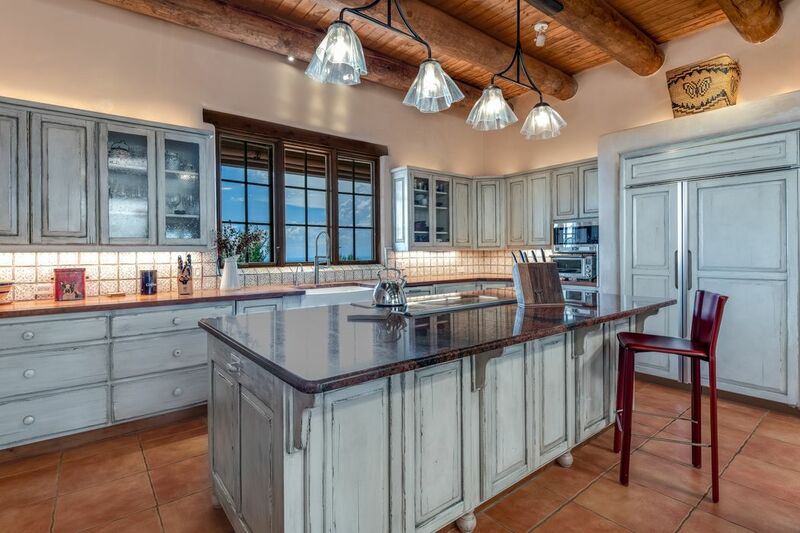 The well-appointed cook’s kitchen features a butler’s office and pantry. 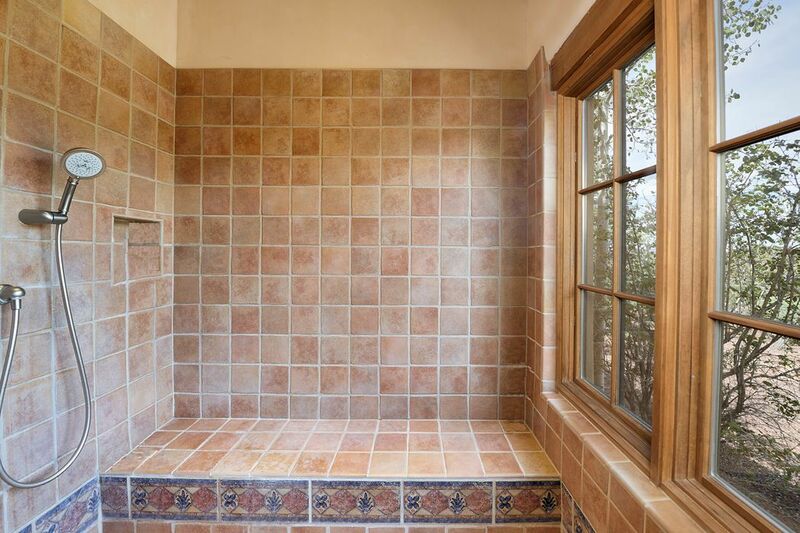 And a tiled service bar extends entertaining space. 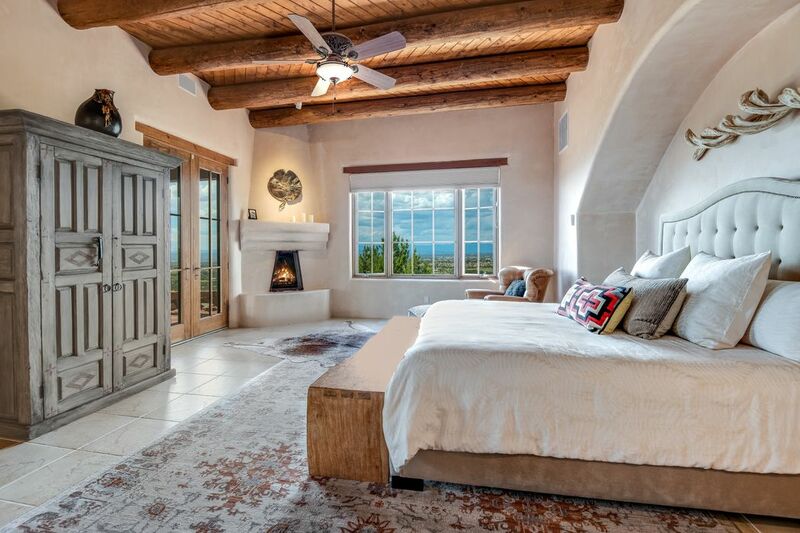 Retreat to the relaxing master suite with a kiva fireplace, and patio with views of the city. 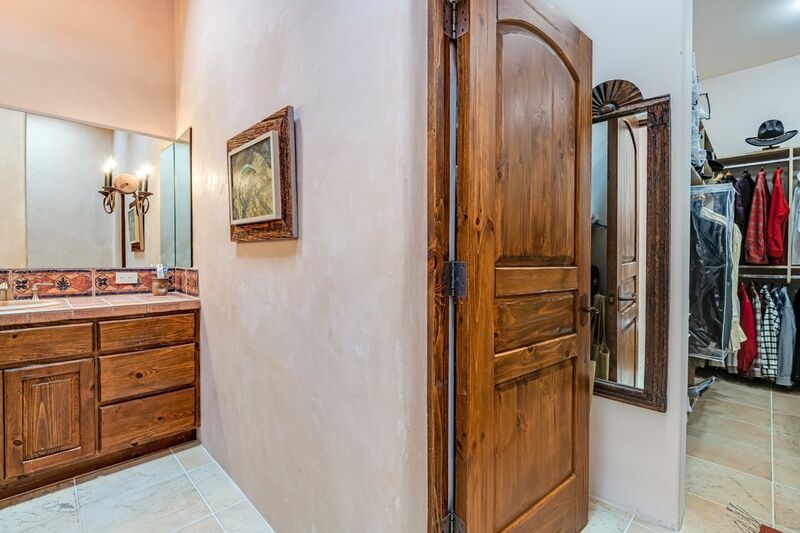 The large dual walk-in dressing rooms, and separate dual master bathrooms offer luxury and practicality. 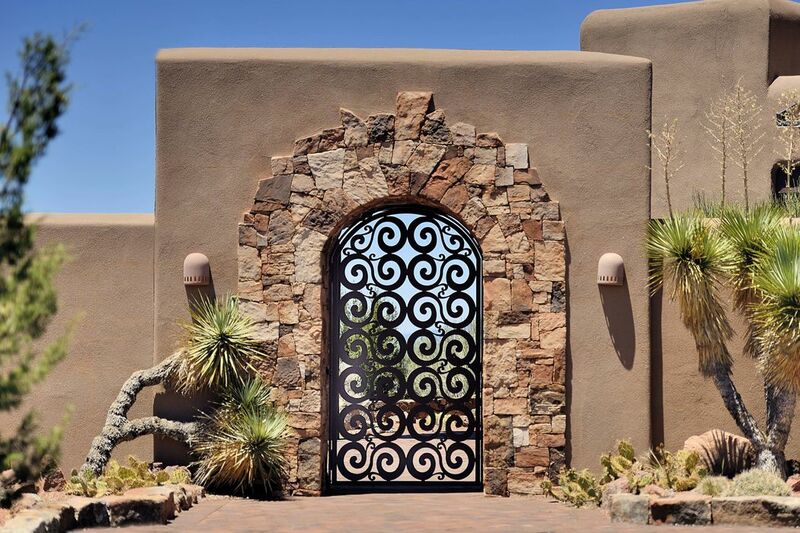 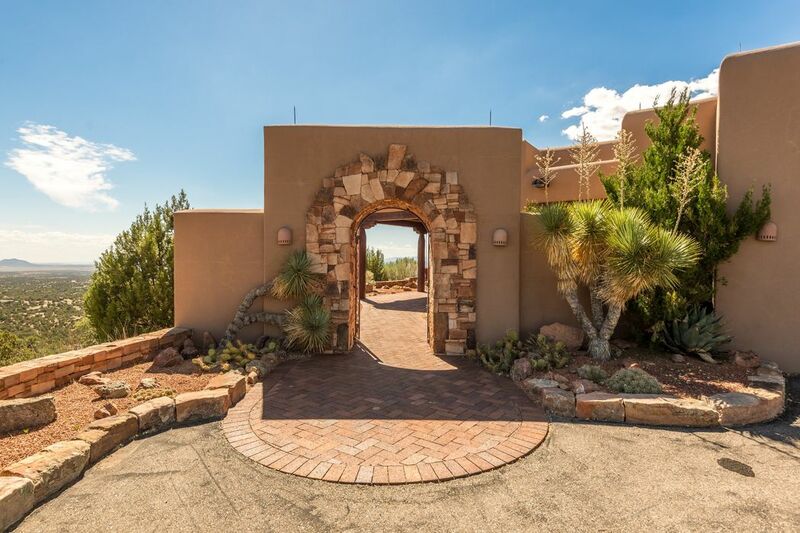 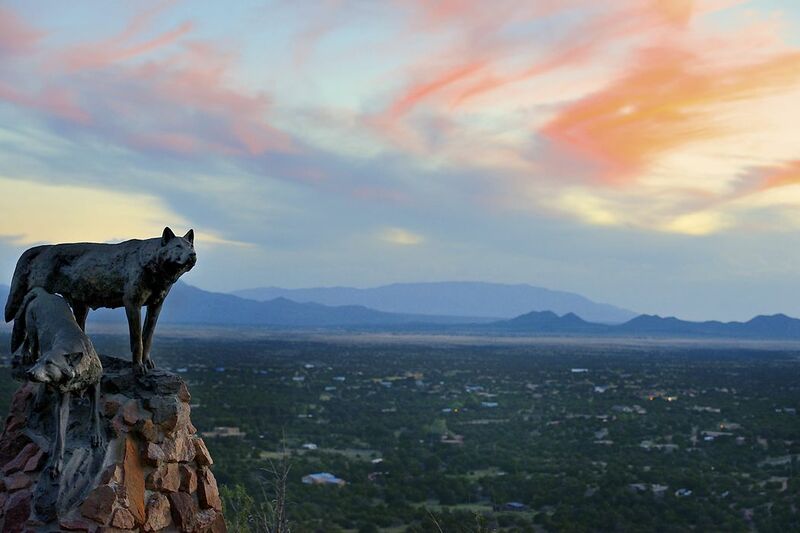 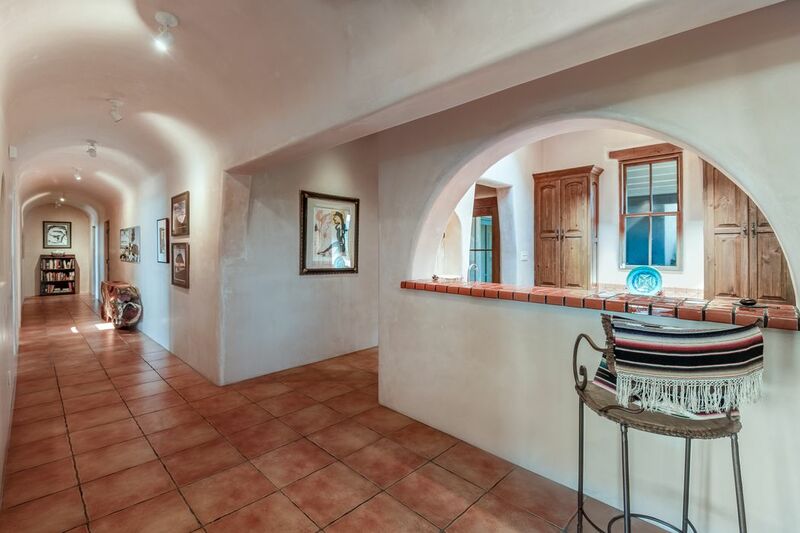 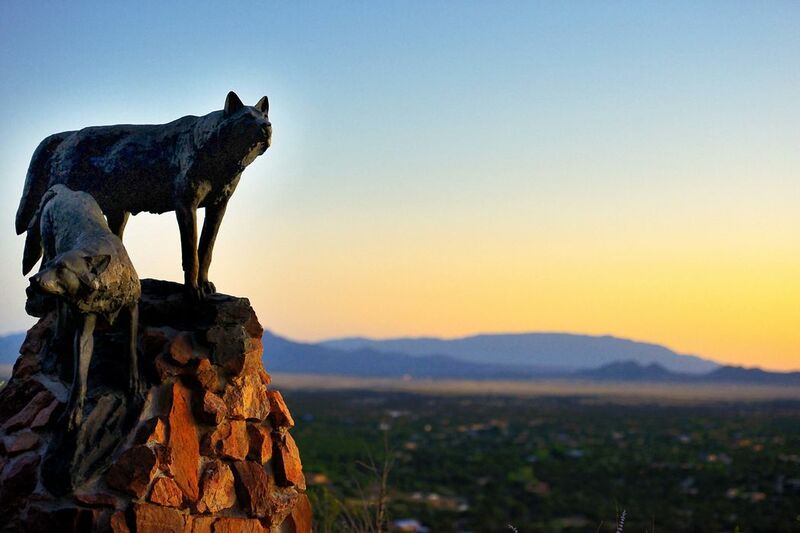 New Mexico’s renowned sunsets are a treat to view from the western portal, and the courtyard with its ornate entry gate is a lovely oasis welcoming your guests into your home. 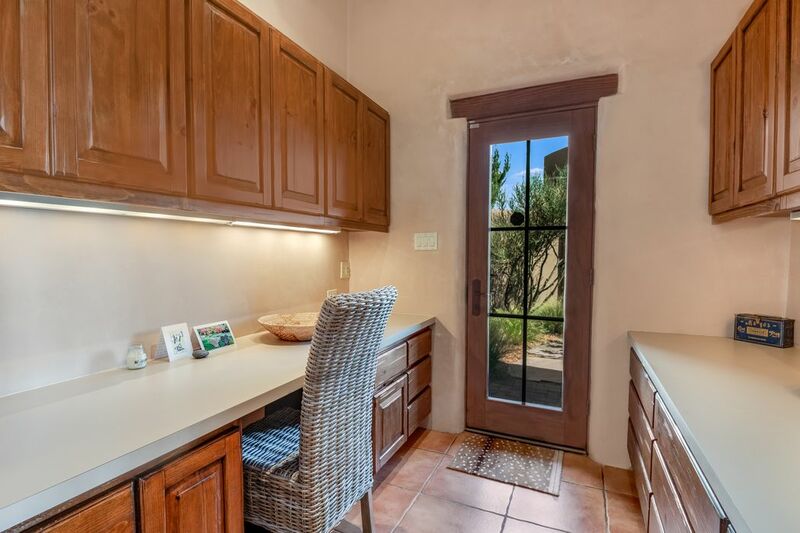 The 3 car garage has several storage rooms, and a bay that has been recently remodeled and is being used as an additional office and craft room.